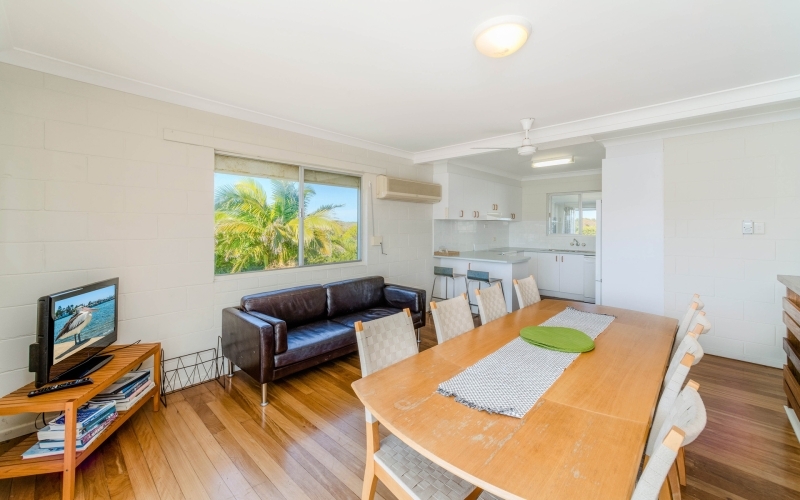 A popular holiday destination on the North Coast, surrounded by the beautiful Yuraygir National Park. 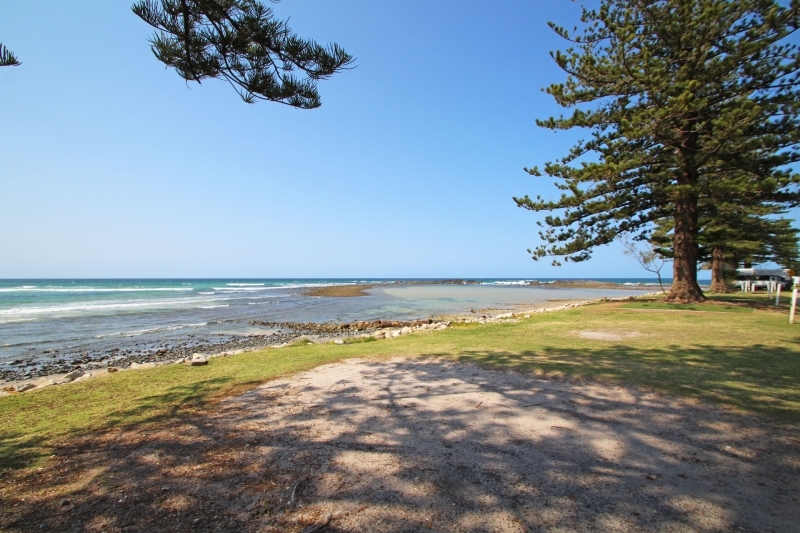 An unspoilt, uncommercialised location with some of the most amazing beaches. 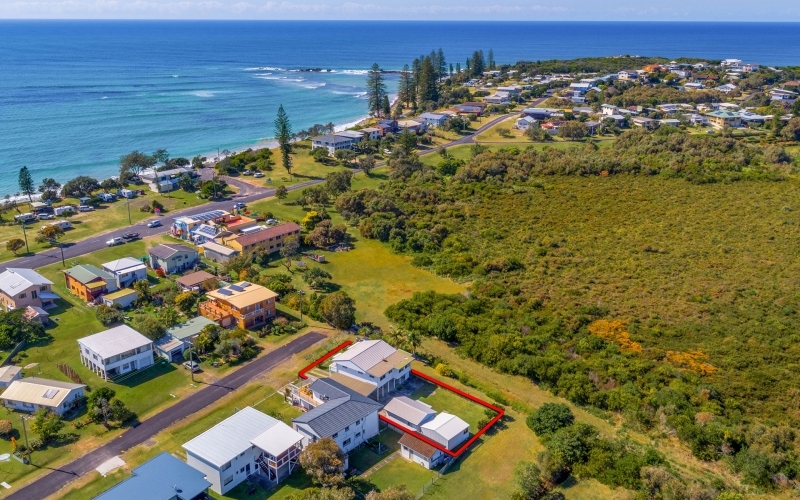 Fondly referred to by many as "The Broom" this idyllic coastal setting is only a short drive from Sandon River and Maclean. 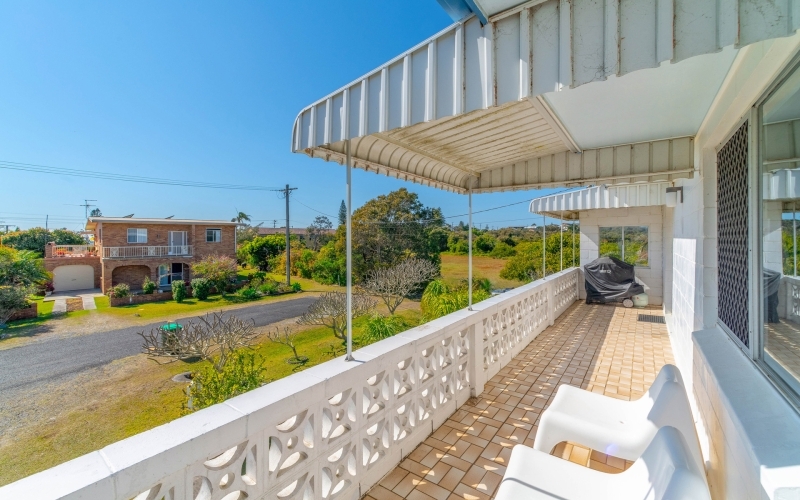 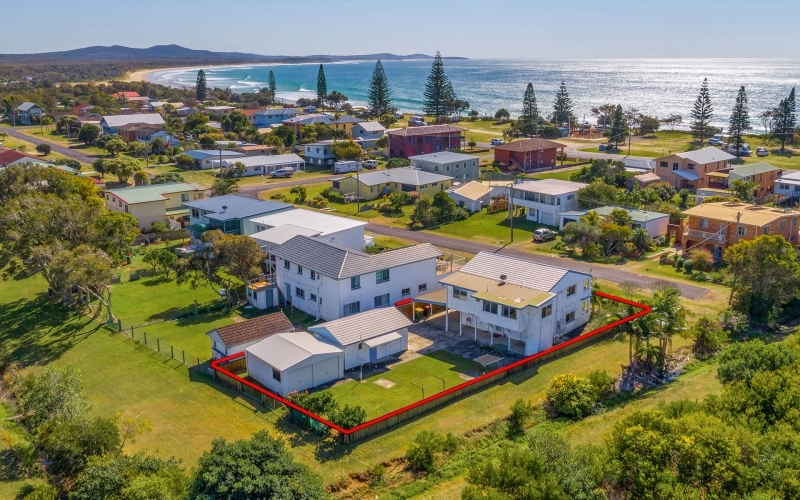 Located at the end of Honeysuckle Street with land allocated as sports grounds on two sides, this elevated besser block home is also less than 280 metres from the beach. 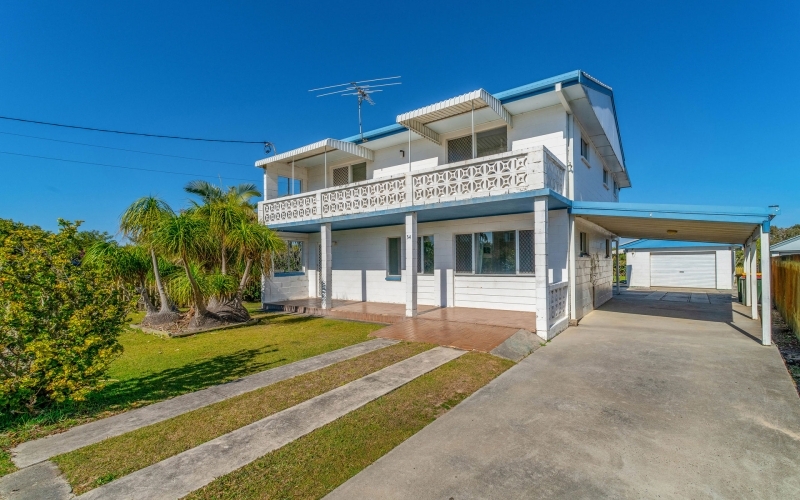 A large home that could accommodate two families as it offers living areas, kitchens bedrooms, bathrooms and laundries on both levels. 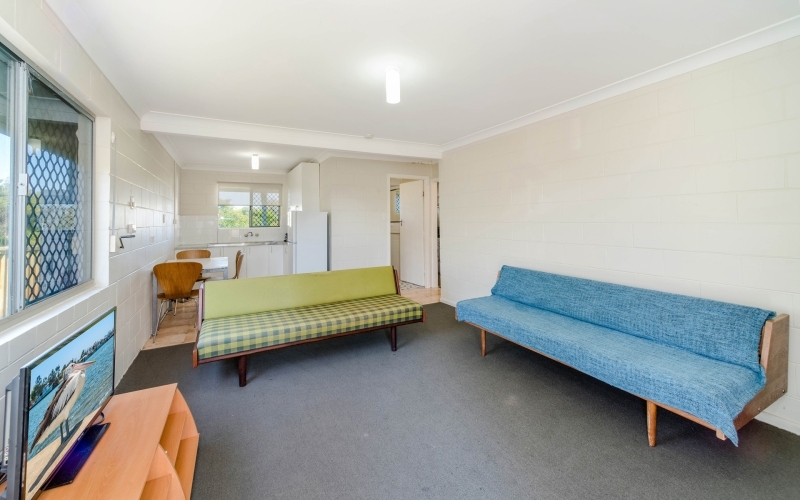 Previously Council Approved as two flats, this spacious residence could be converted back if desired. 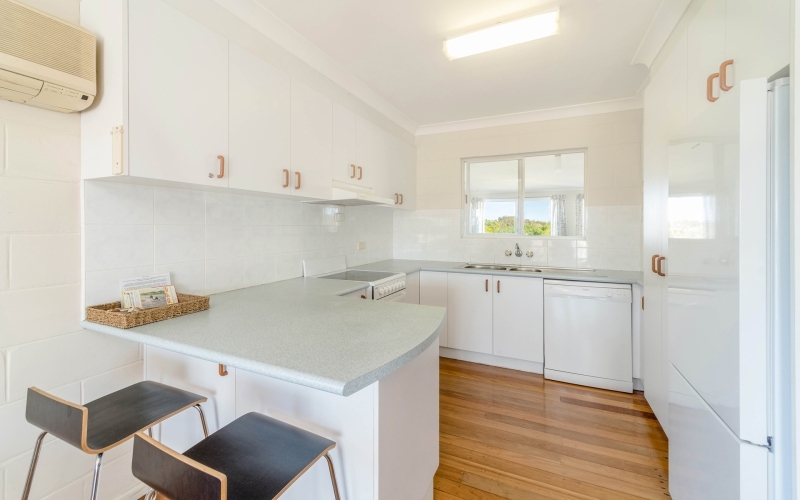 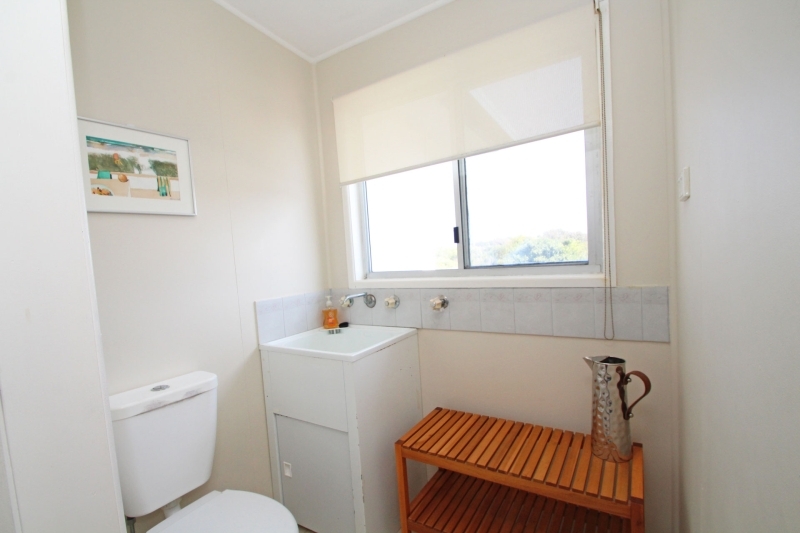 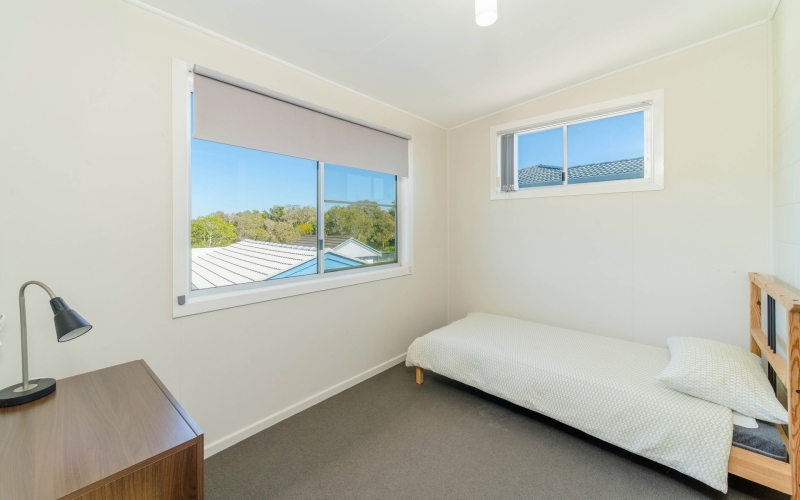 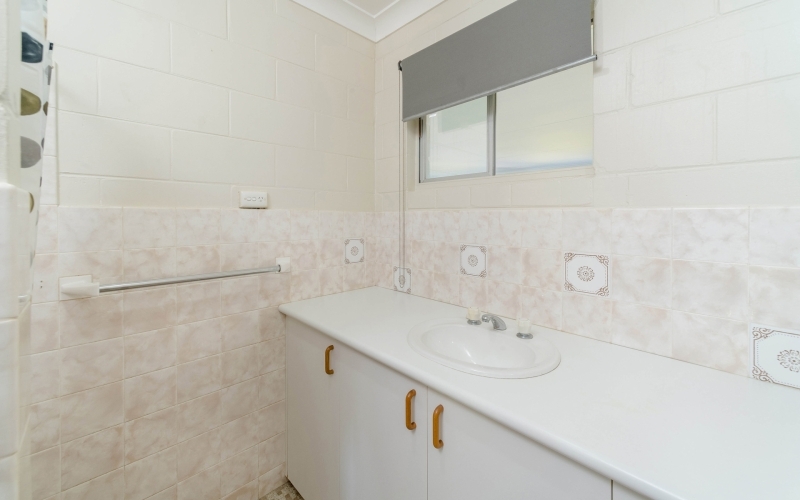 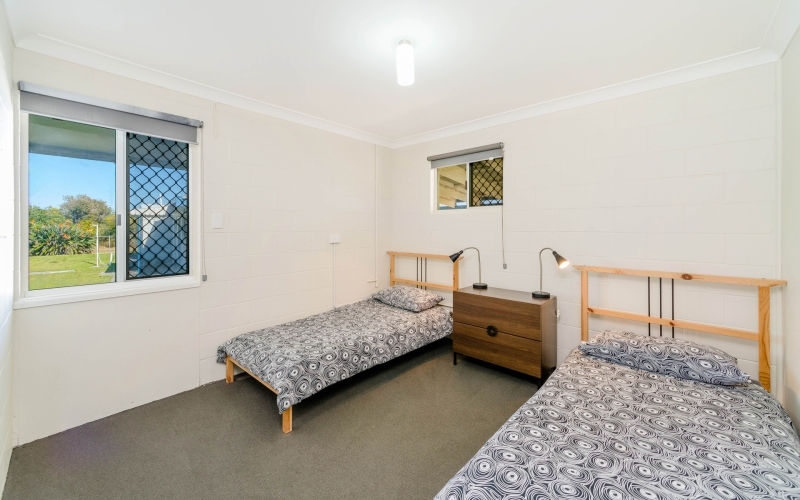 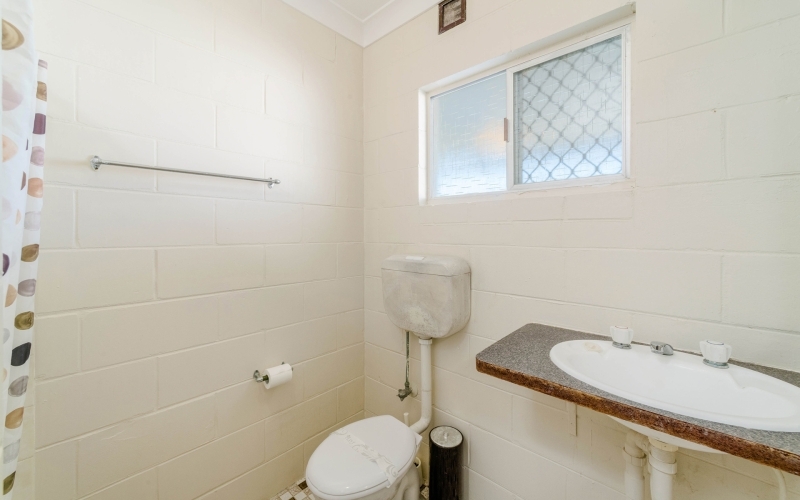 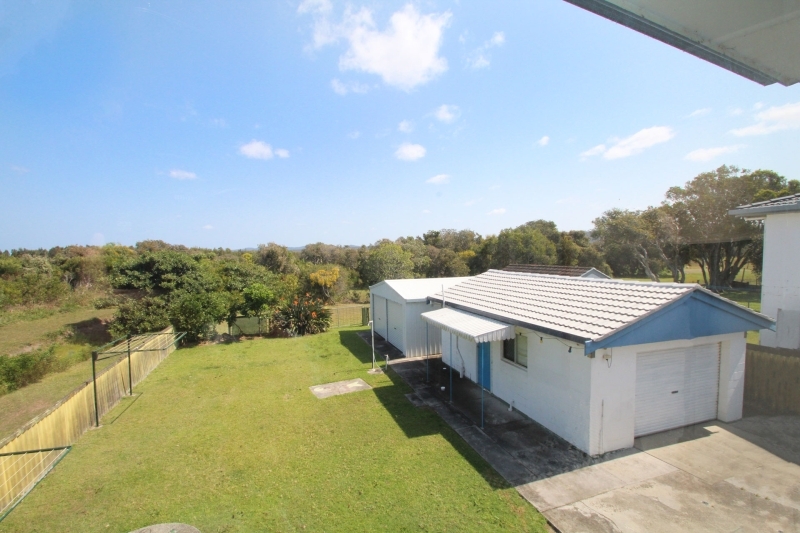 This accommodating property also offers a double colorbond shed plus a large single garage with remote access, that is also constructed of besser block and offers an additional shower and toilet. 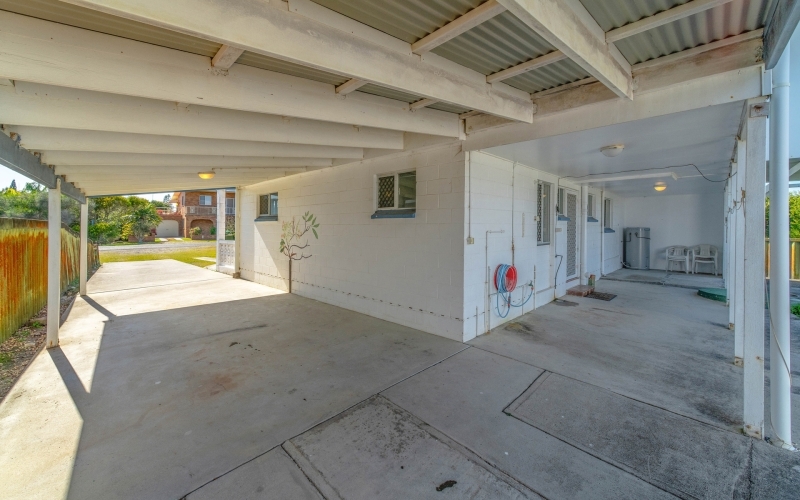 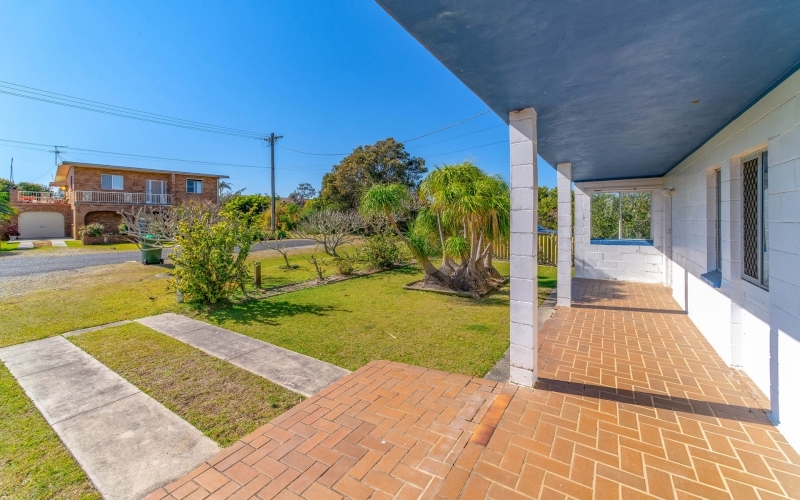 At the front of the home is a 2 strip driveway, providing off street parking plus a full concrete driveway down one side of the home with a carport long enough for two cars. 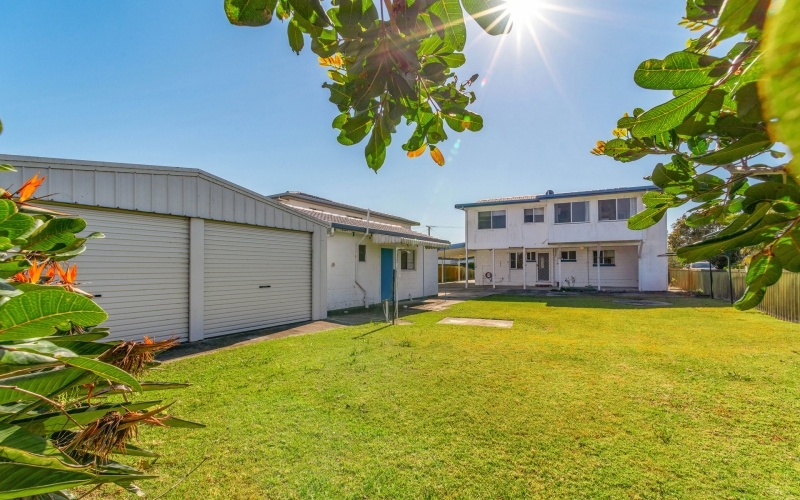 Ready to live in or rent out this large 5 bedroom home comes complete with some furniture and electrical appliances plus security screens on several of the windows. 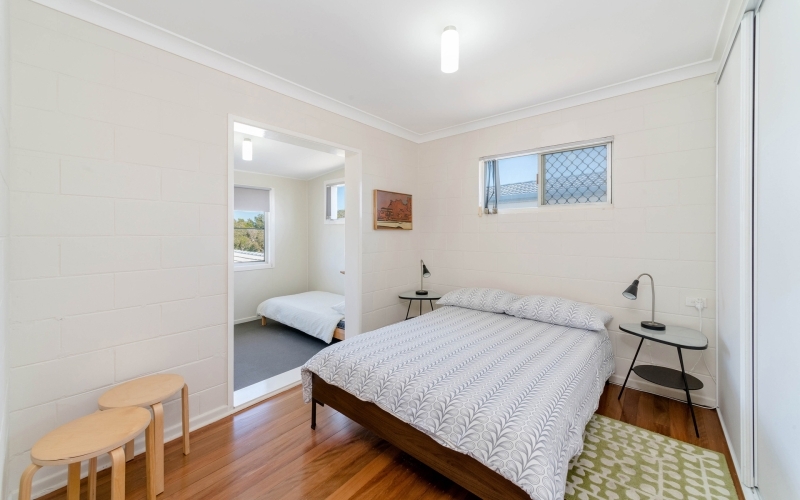 On the lower level there are 2 bedrooms, a living area and bathroom plus a laundry and combined kitchen and dining area with a fridge but no oven. 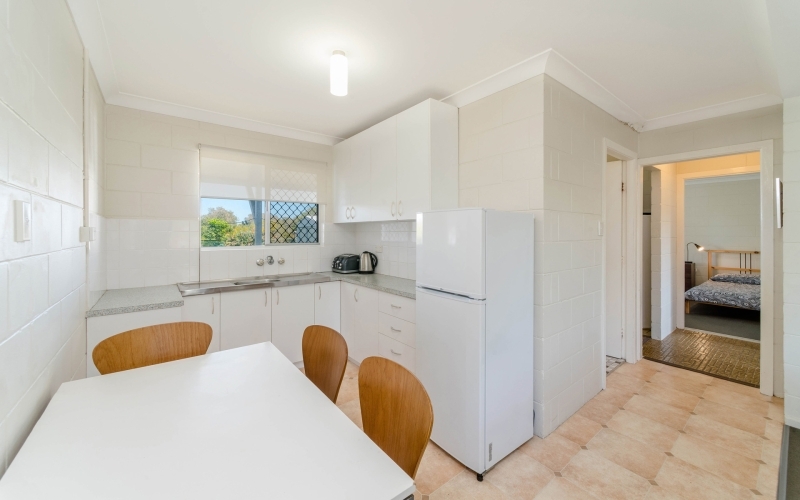 An internal staircase leads to the upstairs level where you will find 2 separate llving areas and a fully equipped kitchen. 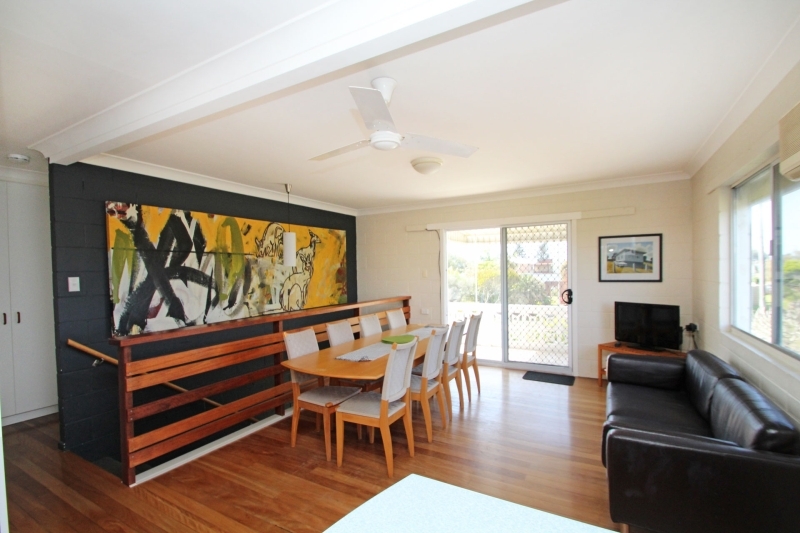 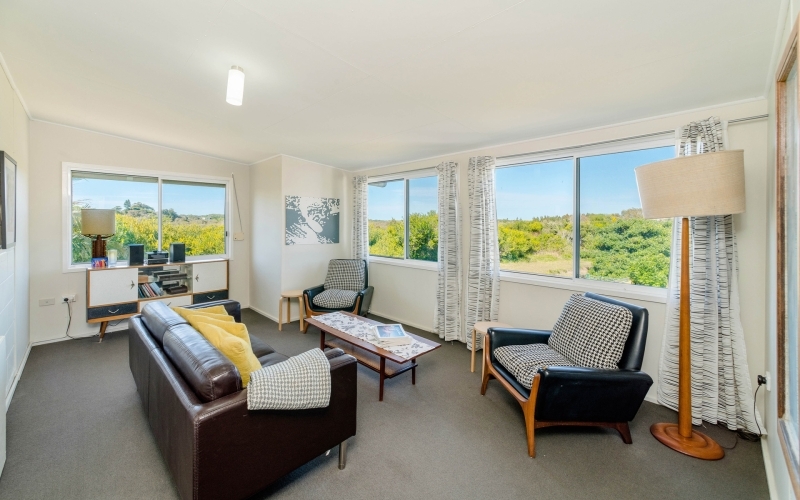 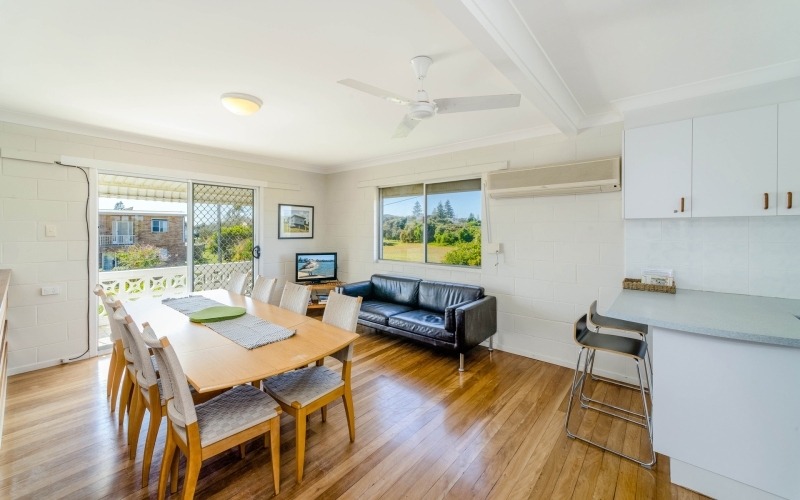 The main living area is air-conditioned with polished timber floors and sliding door access to the front tiled verandah, partially covered by two separate awnings. 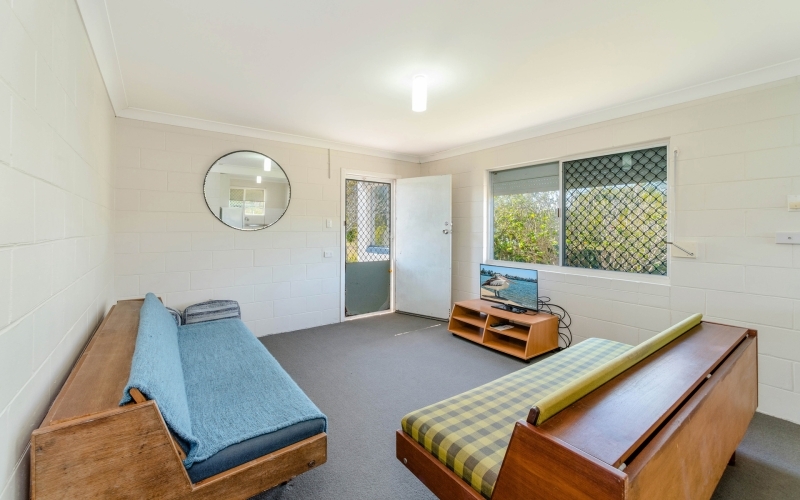 Whilst the rear living room enjoys views of the National Park. 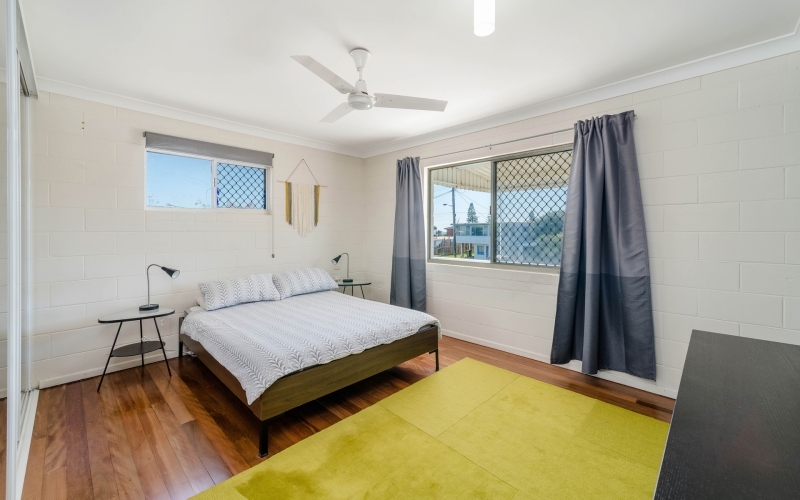 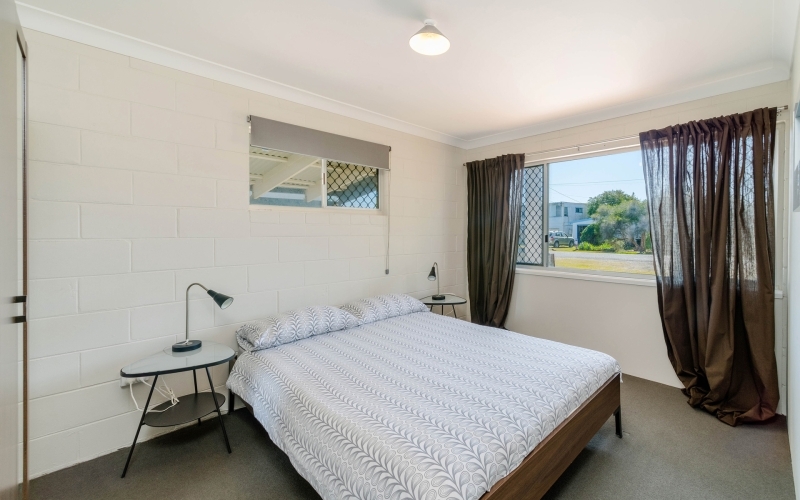 Two of the bedrooms on this upper level also have polished timber floors, whilst the 3rd bedroom is carpeted and has dual access off the hallway and 2nd bedroom. 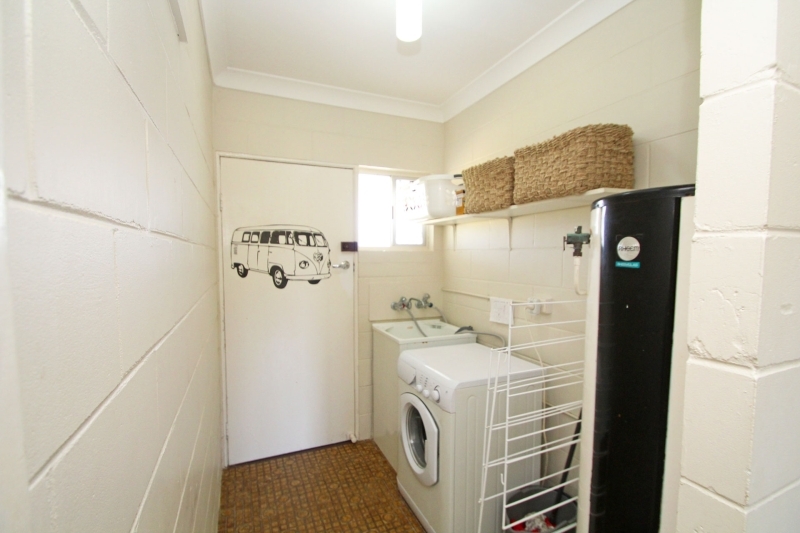 The bathroom on this level has a separate toilet / laundry area. 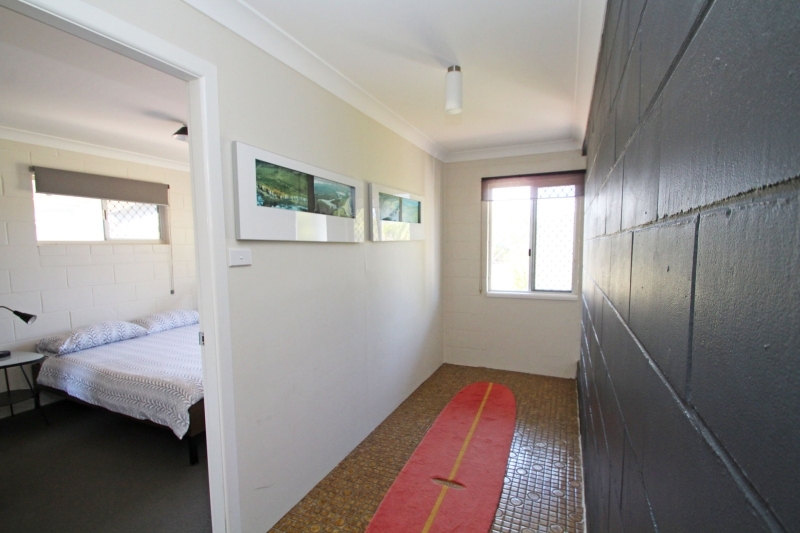 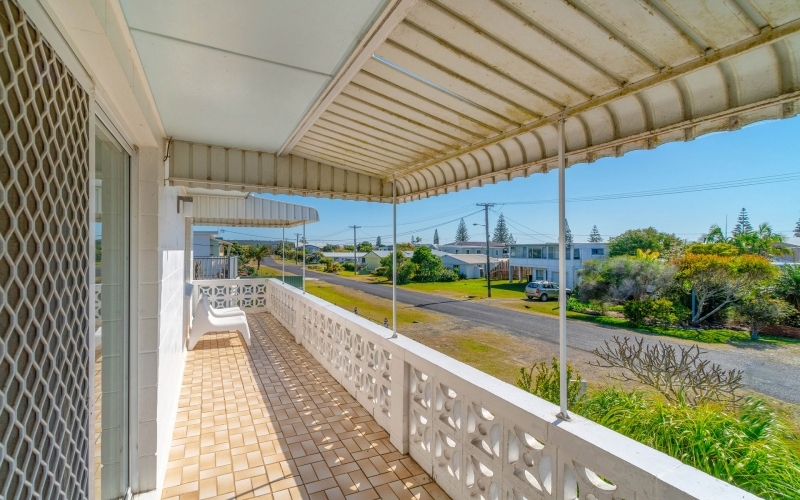 This fantastic beach house is spacious and private, offering a great sea change.